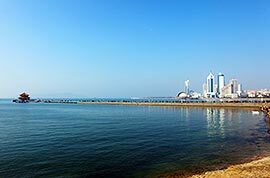 Qingdao, located in the east coast of China, is a large seaside city as well as a major seaport. It is renowned for its rich history and culture, clear air, enchanting seascape, mellow Tsingtao Beer and fresh seafood. What's more, the Sailing Competition held in this city during the Beijing Olympics in 2008 makes it a major attraction. 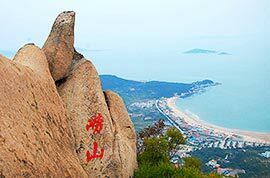 Our private Qingdao tour packages enable you to enjoy the charming sea view, go hiking at Mt. 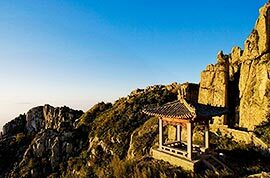 Laoshan and Little Fish Hill Park, learn the history and brewing process of Tsingtao Beer, experience the profound Confucian culture at Confucius Temple and more. How to get to Qingdao? By Air: Qingdao is well connected to most of the major Chinese cities by domestic flights. It is also easily approached from oversea destinations including Busan, Seoul, Frankfurt, Melbourne, Los Angeles, Singapore, Tokyo, Osaka, etc. 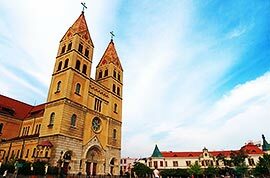 By Train: As high-speed train network is expanding, it is very easy to make a Qingdao tour package from Jinan, Beijing and Shanghai. The train journey takes around 3 hours, 5 hours and 7 hours respectively. By Ship: Being a large seaport in east of China, Qingdao has a developed water transport network. It provides ferry lines connecting with Incheon, Shimonoseki, Shanghai, Dalian and Guangzhou. What is the best time to visit Qingdao? Benefiting from the monsoon climate with distinct marine features, Qingdao has a mild weather in all four seasons, without extreme cold and hot temperature. In spring and autumn, it is warm and humid. The coldest season is January with an average temperature of 0.9℃ below zero (30.4°F). Summer is cool and pleasant with the temperature ranging from 20 to 28℃ (68 to 82.4°F). The best travel period is from the end of March to early November, especially in late August, when it comes to the golden season due to the mild seawater temperature. It is a yearly festival held in Qingdao since 1991 and lasts for 15 days from the second weekend of August every year. As China's Oktoberfest, this carnival featuring artistic parades, beer tasting, music, food, trade exhibitions, gala performances and various contests attracts thousands of people from all over the world. Hence, during this time hotels, tour guides and vehicles would be in great demand. It is best to arrange your trip to Qingdao as early as possible if you want to experience this beer carnival. Hi, why don't you take a taxi? It is the most convenient way and you do not bother to book tickets in advance. We have found the sightseeing tourist bus. I just checked with the tourist bus company and was told that the bus passing by Tangdao Bay had been cancelled. Also, the operating time for these three bus lines are different, so I am afraid that it is impossible to change en route. Shuttle buses available upto what time in the Qingdao railway station to International Airport? The last one leaves at 21:30 from the south square of the railway station. I would like to go to the Holiday Inn Parkview Hotel on Xinyang Lu from North Station. Can anyone advise if I can get public transport there. You are advised to take bus no. 18 at the north station and get off at Baoguan Xueyuan (Institute of Customs Declaration). Then ur hotel is 0.6mi away. You can walk there in 10-15min. If possible, you can make use of this day to explore some main attractions in the city. 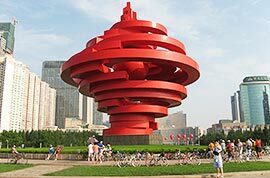 I would recommend you visit the Zhan Bridge, Badaguan Scenic Area, Bathing Beach, Xiaoyushan Park where you can overlook the city from the top, and then get to Wusi Square. If you are interested, you may also consider a day trip to Mt. Laoshan, which is another famous place in QD.